AKDY provides a fairly broad range of appliances and household items extending well beyond wine coolers. 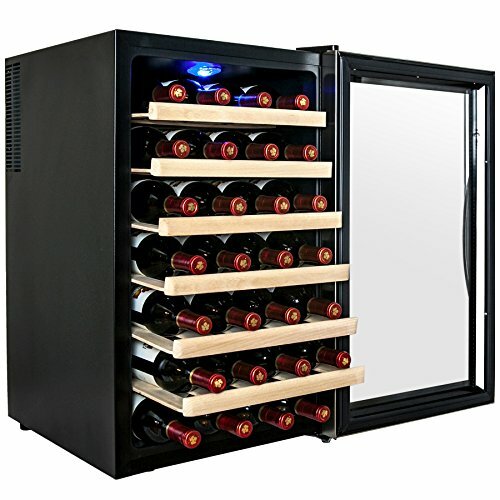 AKDY focuses significant effort on modern and innovative product design across its product line, and this includes its attractive wine coolers. Similarly, AKDY focuses on thermoelectric technology for wine cooling. AKDY’s wine coolers are all thermoelectric, so they feature near silent operation without vibration. AKDY wine fridges are generally smaller capacity, ranging up to 32 bottles. Most are also single zone, but there are 3 dual zone wine coolers. 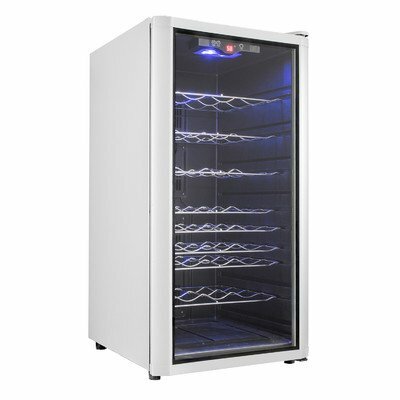 The focus on the thermoelectric technology and smaller capacities means that AKDY wine refrigerators are particularly appropriate for under the counter or counter top applications. AKDY wine coolers are marked by modern styling, thermoelectric cooling, and smaller capacities. If these specs meet your needs, you should carefully consider AKDY. 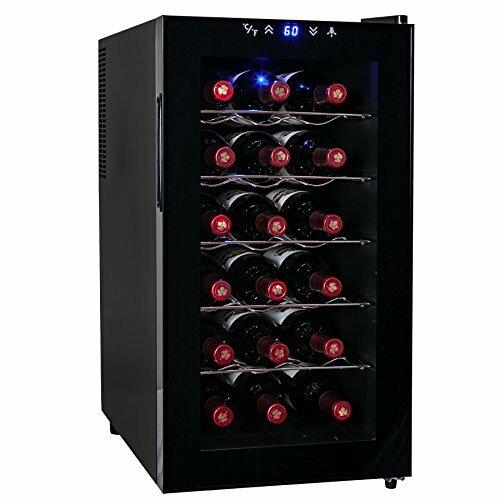 Model: AKDY WC0002 32 bottle single zone thermoelectric wine cooler. Read our review for AKDY WC0002 32 bottle single zone thermoelectric wine cooler. Read our review for AKDY WC0020 28 bottle single zone thermoelectric wine cooler. Model: AKDY WC0021 21 bottle Thermoelectric wine cooler. Read our review for AKDY WC0021 21 bottle Thermoelectric wine cooler. Read our review for AKDY WC0012 18 bottle Single-zone Thermoelectric wine cooler. 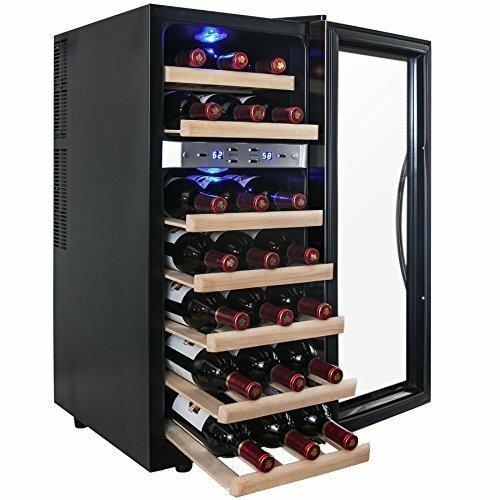 Check out our Wine Cooler Buying Guide for helpful check list to aid you with your buying decision.